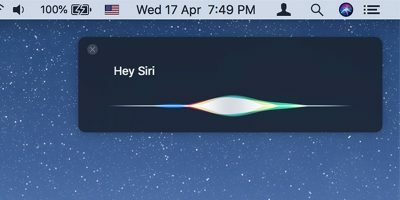 If you happen to use your Mac at a place where there are people who you think will access your machine when you go away, you should lock the display on your Mac so nobody can access it when you are not around. 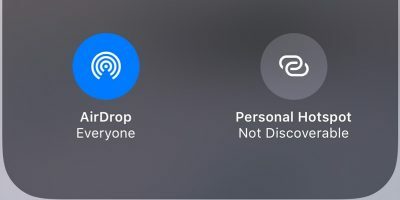 When Keychain launches, click on “Keychain Access” followed by “Preferences…” It should open the Preferences panel for the app. 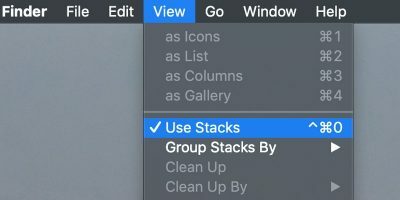 Under the “General” tab in the panel, you should see an option that says “Show keychain status in menu bar.” Put a tick mark in it and it will be enabled. 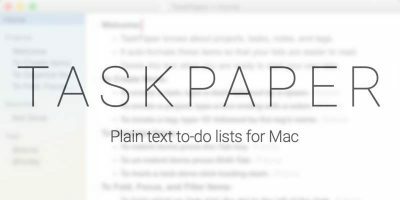 It should add an icon in the menu bar on your Mac. 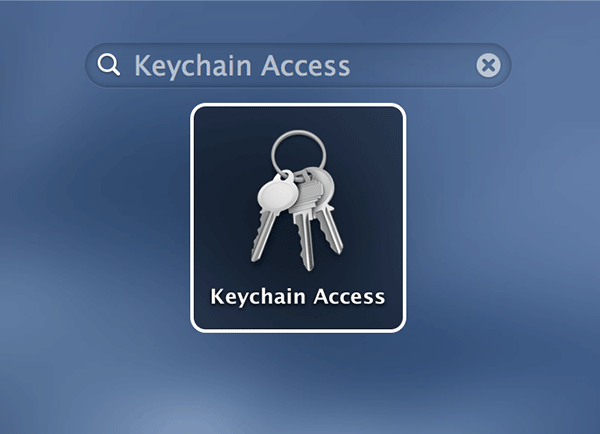 The icon that was added to the menu bar looks like a lock. Click on it and you should see a menu. 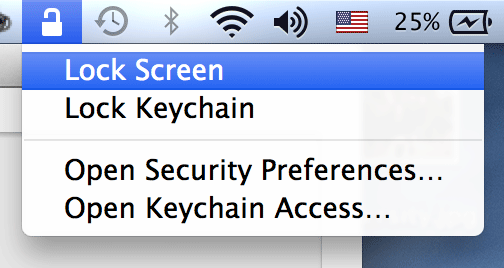 Select “Lock Screen” from that menu, and it will lock the display, or screen, on your Mac. 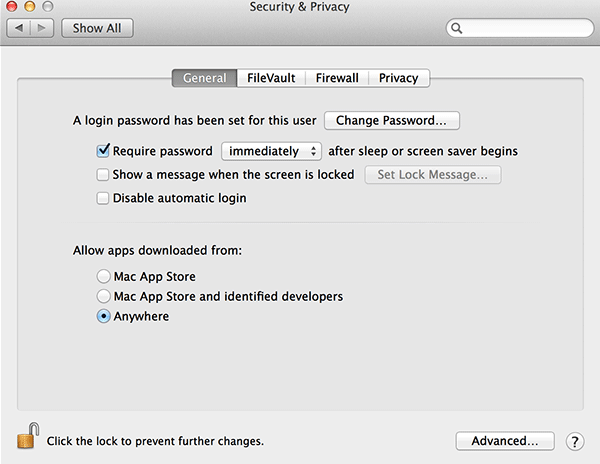 When you try to access your Mac, you will be prompted to enter your account password. If you don’t want to use the Keychain Access for any reason, you can use the System Security panel to lock your display. Here’s how you can do that. 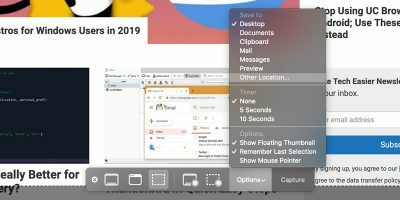 Click on the Apple logo in the top left corner of your screen and select “System Preferences…” It will open the system preferences panel on your machine. Click on “Security & Privacy” on the screen that follows and you will be taken to your security settings panel. Check the box that says “Require password immediately after sleep or screen saver begins.” Make sure that the drop-down menu says “Immediately” or it will not lock your display as soon as you leave it. 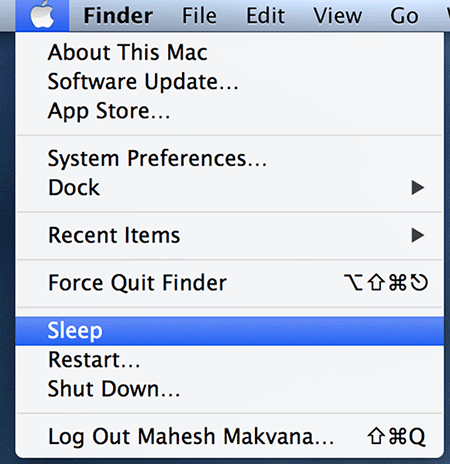 To lock your display, simply click on the Apple logo in the top left corner and select “Sleep.” Your Mac will go to sleep, and it will ask for a password when you want to wake it up. 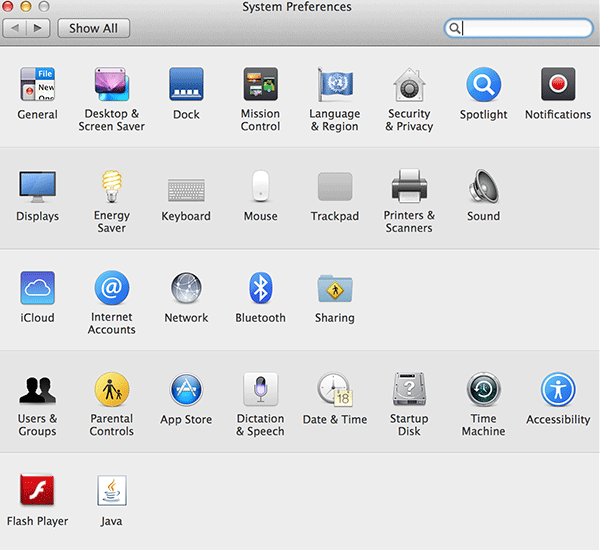 Click on the Apple logo in the top left corner and select “System Preferences…” It will open the Preferences panel on your machine. 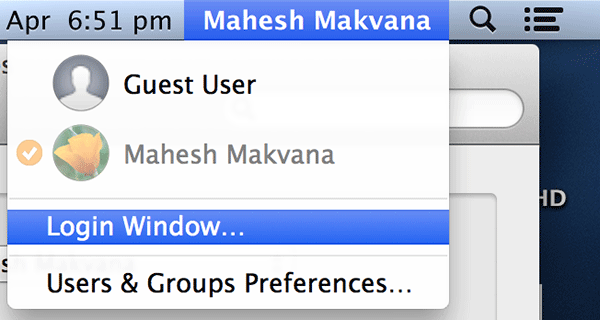 On the screen that follows, click on “Users & Groups.” It will open the users panel on your Mac. 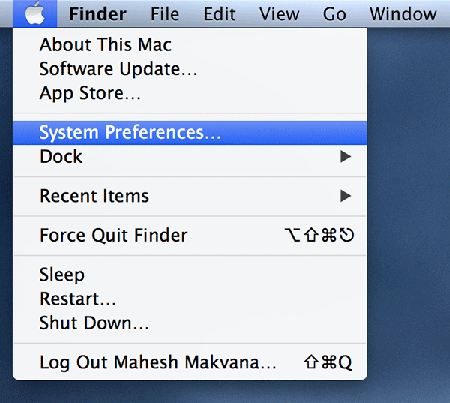 Click on “Login Options” on the screen that follows, and you should see some extra options to configure on your Mac. One of the options on this screen says “Show fast user switching menu as Full Name.” Put a tick mark in it and it will be enabled. 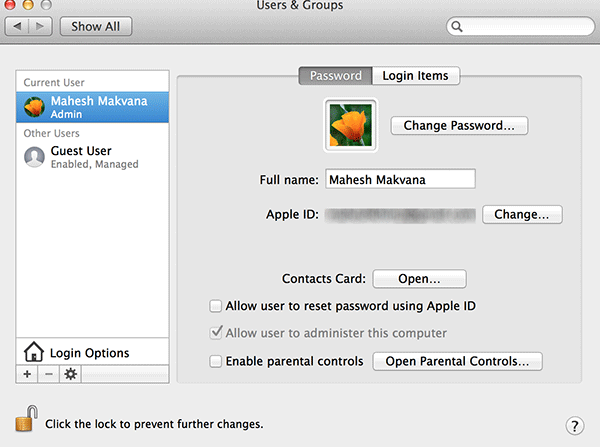 Click on your name in the menu bar and select “Login window…” It will lock your screen and show the login window, and unless you enter the correct password for your account, you will not be able to use your Mac. 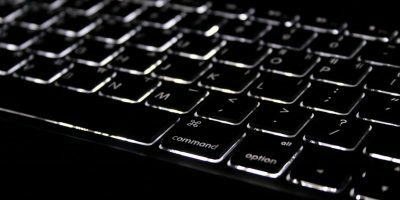 Leaving your Mac open when you are not using it is not a good idea, as there is the chance of your data getting stolen. 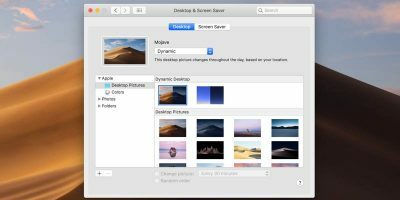 You can use the above ways to lock the display on your Mac when you are away, and it will keep your machine secure for you. 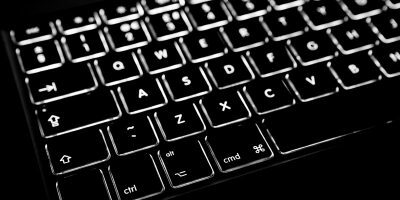 Those don’t lock the display, they only shut it off, and thus a password isn’t required to turn the display back on and use the computer. 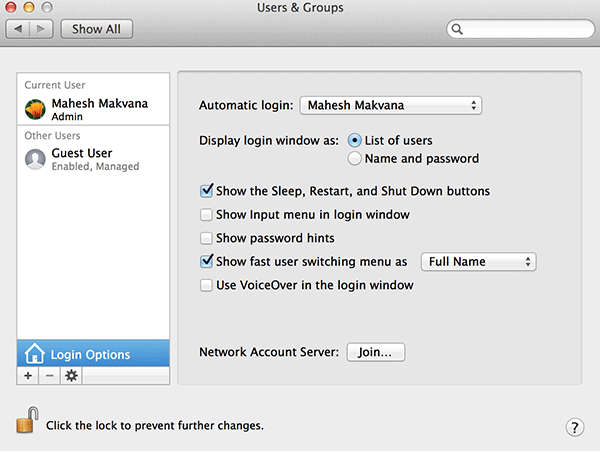 It will lock the displaybut, you need to configure System Preferences to require your user account password when unlocking or waking up. 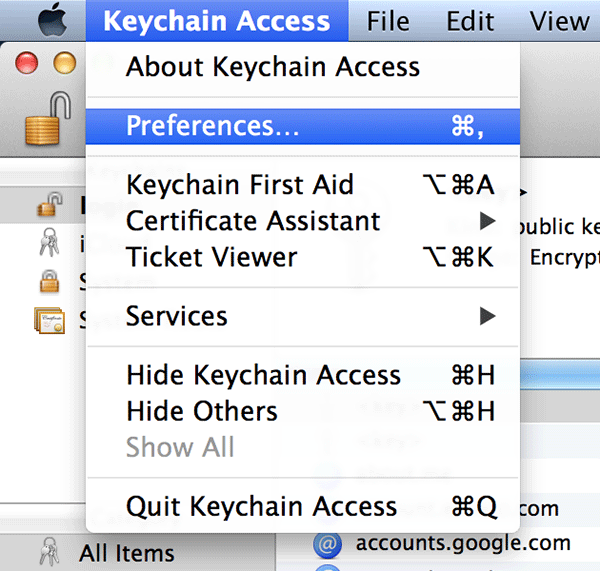 To do this, head to System Preferences > Security & Privacy > General. Check the box next to “Require Password” as described above..